Buy a Wee Toast Gift Voucher. 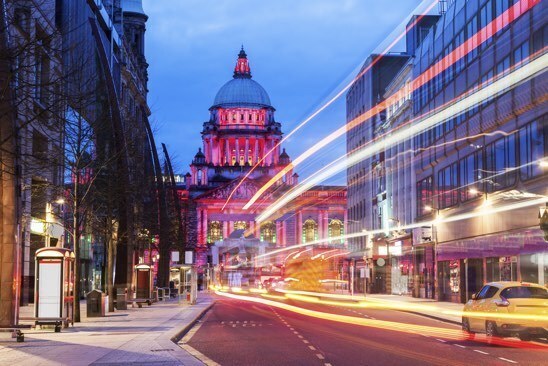 See the city from a different perspective on our fun and original group cycle tour of Belfast. 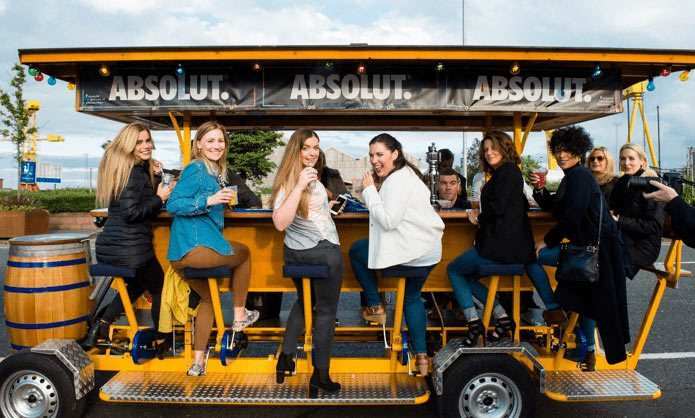 Grab some friends and join us to pedal around the sights of the city. 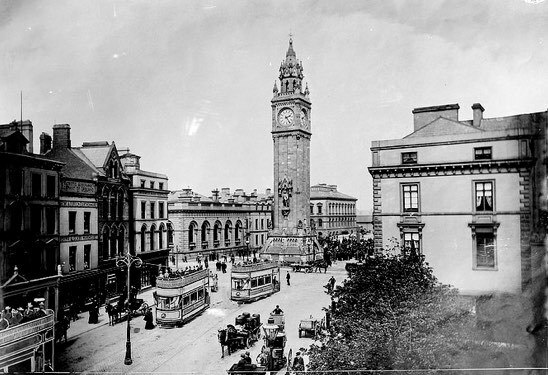 Share a toast and make some unique memories while soaking up some history and the unparalleled Belfast atmosphere. 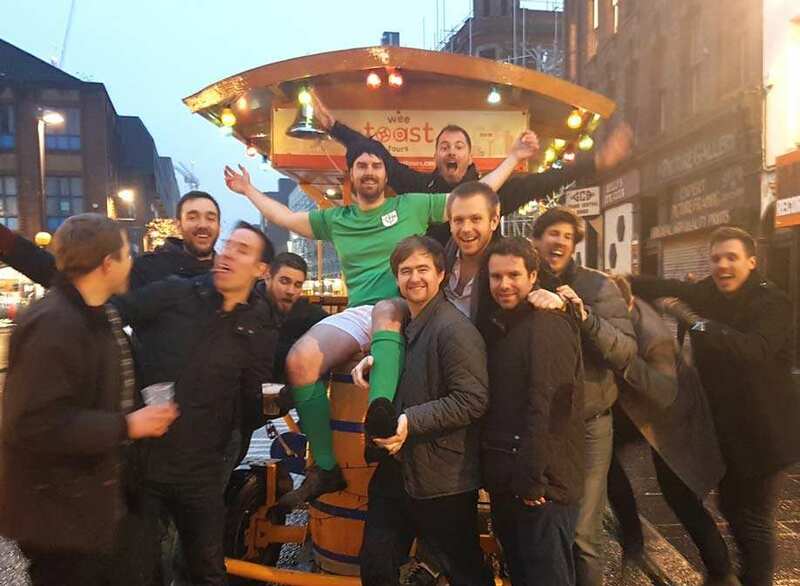 Your Wee Toast Tour will be an outdoor city experience not to be missed. Our bikes run purely on pedal power so get your legs ready! Each bike carries up to 15 people, although we need at least 8 of you to traverse the streets of the city. You can book one or just a few seats and we’ll match you up with some other lovely travellers. A bigger group of 8+ and you’re all set to power the bike. Any more than 15 and you should plan to book two bikes. We have a simple and helpful booking system so click below and let us take you through your booking step-by-step. Collaboration is our bag. We work with partners on all types of events, corporate team building, product launch, brand collaboration, event hosting, whatever you have in mind. Get in touch if you’re looking to take your festive celebrations to the next level, we can promise a most memorable way of giving back to your team. Book solo or team up with your besties to create the top tour squad in town. If you are booking for one or just a few we’ll team you up with some others to make sure you have enough pedal power. If your group is 8 or more, you’re all set to power the bike and for a group bigger than 15, you’ll need two bikes. Decide where you’d like to circuit and when, choose via our slick booking system and get ready to let the fun planning begin. We operate on a BYO basis. 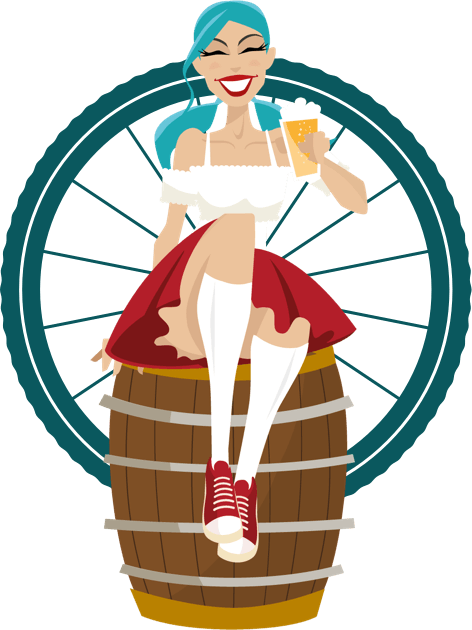 If you are booking a full bike and would like to order a keg (of beer or prosecco), give us a shout and we’ll point you in the right direction. If you’d rather bring your own favourites (Taytos and tea for example! ), that sounds perfect too. 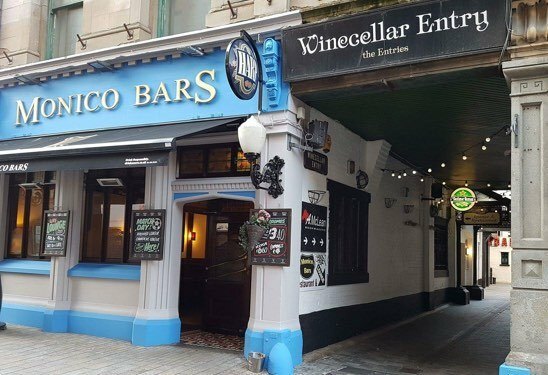 Offering traditional food and drink, this lively bar can be found down the historic Winecellar Entry off Lombard Street. It offers live music at weekends and is popular with sports fans boasting large plasma screens showing the latest action. 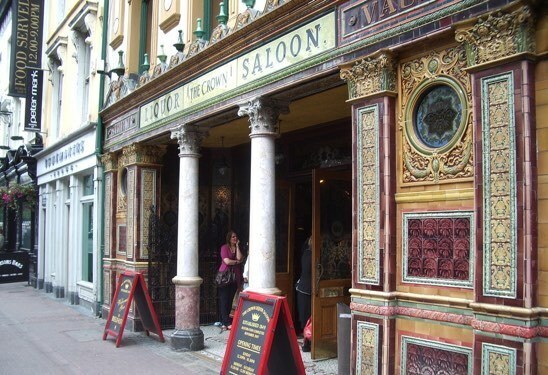 This is one of the top Belfast haunts if you’re looking for a ‘class’ pint of stout and some local atmosphere. 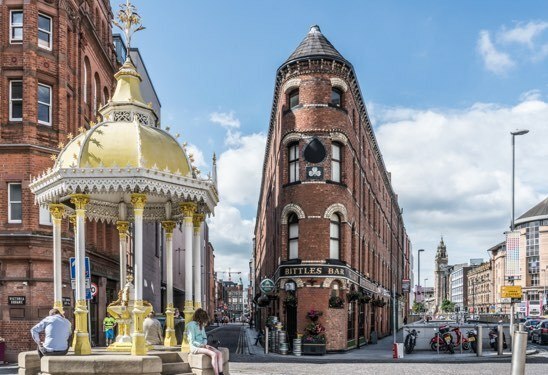 Dating back to 1895, this majestic building was designed by renowned architect Frank Matcham and is home to two theatres and three bars. 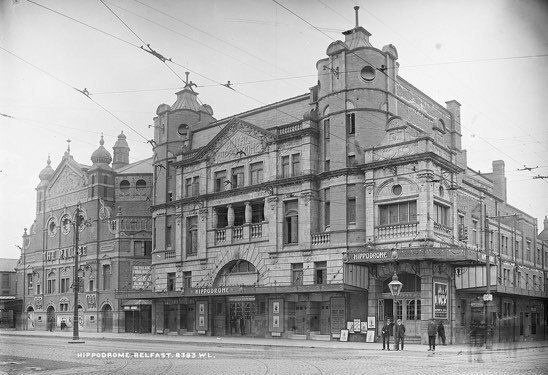 A favoured venue by both international companies and local groups, the Grand Opera House has been part of Belfast’s vibrant theatre scene for over 100 years - the Christmas Pantomime is the hot ticket with local families year on year (ask your tour guide who May McFettridge is if you don’t know already!). 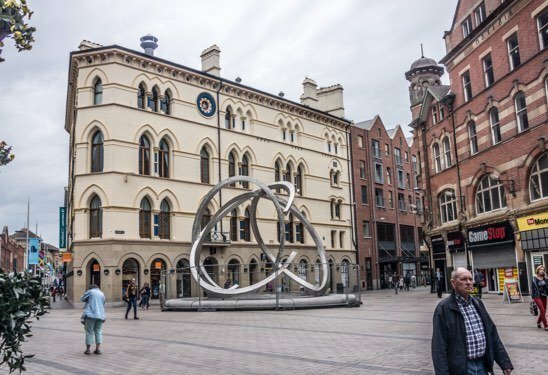 This neat little square sits in-between the City Hall and the Europa Hotel (infamous for being ‘Europe’s most bombed hotel’ during the Troubles) and is a stone’s throw from some of the most famous bars in Belfast including the Crown Liquor Saloon, Robinsons Bar and Brennan's Bar . If you’re looking for a party then this is one of the main areas to come to at night-time whether it’s for food, drink or a even a wee dance. 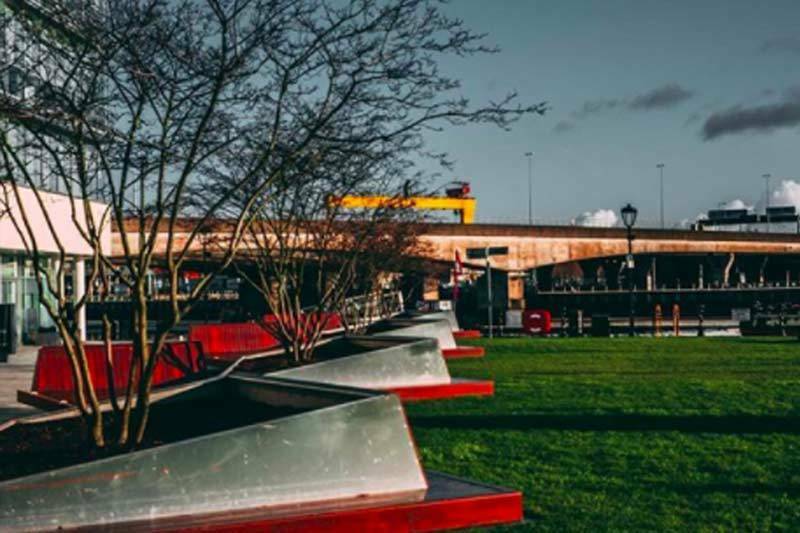 ‘Where the gallows once stood and souls met their demise.’ This was how poet Stephen Clarke described this part of the City, which is now a favourite spot for street performers and home to one of Belfast’s most impressive modern sculpture’s called ‘The Spirit Of Belfast’. 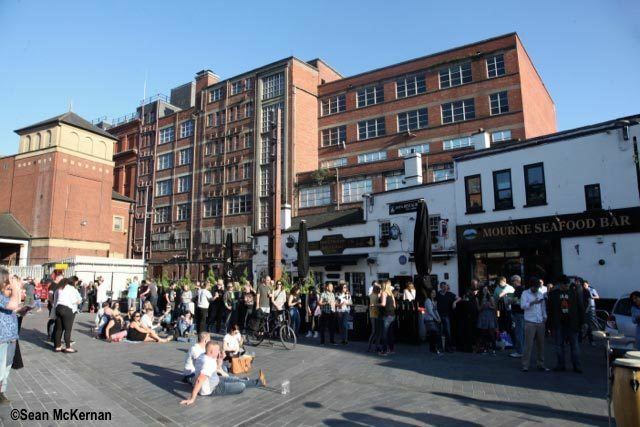 There are five pedestrianised streets that converge at Corn market - it’s a trendy hang out and popular meeting point. Robinsons is a great choice for a night out with five venues under one roof. Perhaps most famous is the Saloon on the ground floor where you’ll find original memorabilia from Titanic. 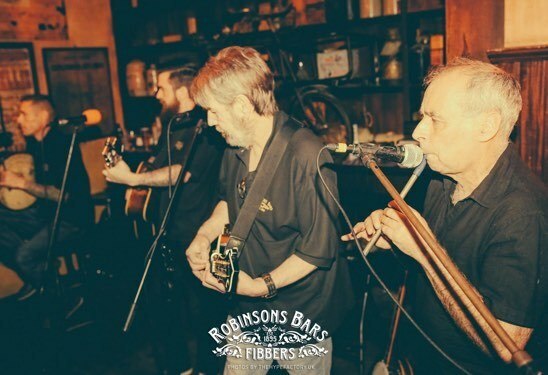 Steeped in Irish tradition and also packed to the rafters with little bits of history, Fibber Magee's is a traditional Irish music bar so pull up a stool by the open fire and enjoy tunes from traditional musicians, every night of the week. If you are after something a bit different, then Robinson’s also offers a karaoke bar, a sports bar and a bistro. 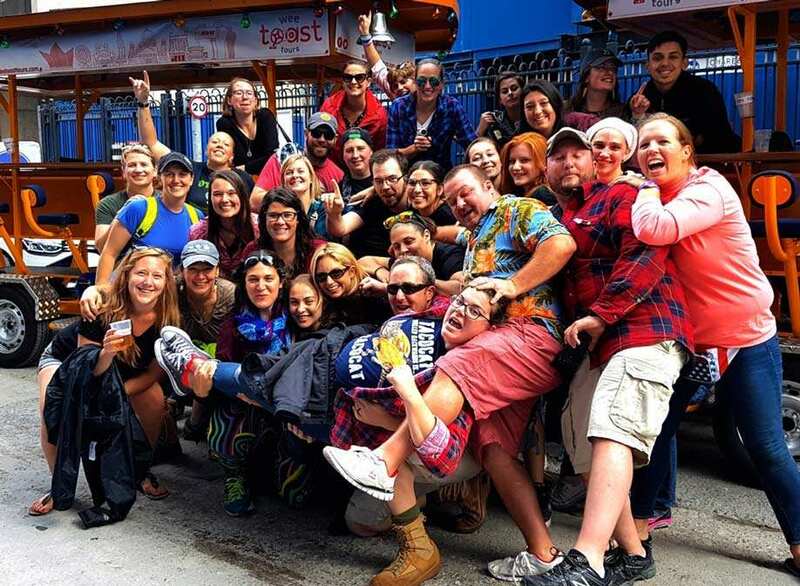 Every month we choose our favourite tour crew, see if you top our charts! 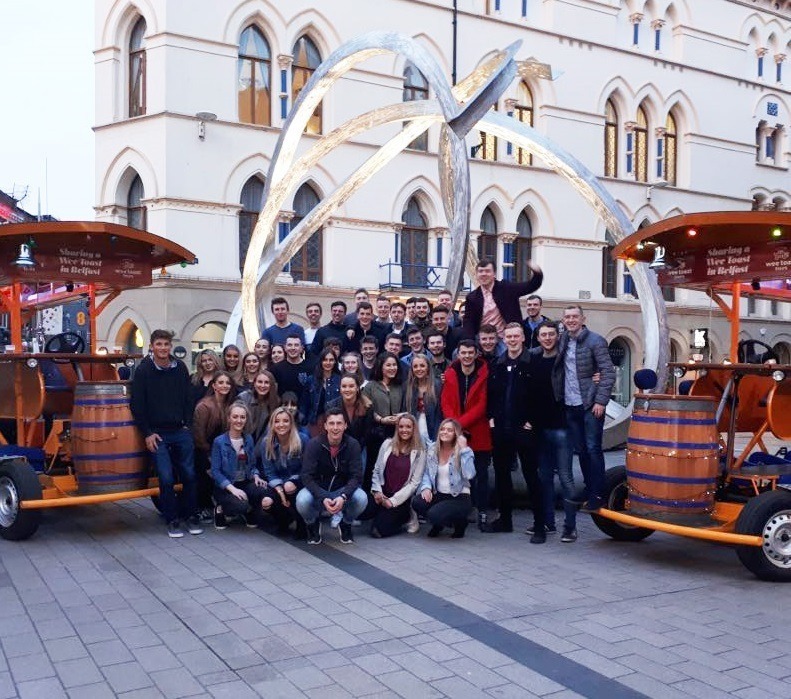 Whether standing out with your eye catching outfits or keeping us entertained with your story-telling prowess, we rack up our favourites here, and this month we had the pleasure of hosting students from our very own Queen’s University. Wishing you good luck for your exam results. We raise a glass to our Toasters of the Month – whoever stepped into the Wee Toast Corner and lifted our spirits with a heartfelt verse, a hilarious anecdote or a travelling tale to take home with us.